We have started a blog ring for CDH families so that we can all keep up with blogs and CDH families and make sure to send well wishes and prayers to those who need support and encouragement. It has greatly evolved in the past 10 years. Our site first went on-line in 1997. It was bad. Horribly bad. It was just a few pages with little information and really not much help to parents – more of a page on how to contact us. It looked completely unprofessional but it was a web presence. We did it 100% ourselves and continue to do the web site ourselves. Today, our site is over 40,000 pages. It is full of stories of over 400 children born with CDH, over 100 forums, over 1000 photographs and also includes a CDH Research Library, free downloadable information for parents, our newsletters, non-profit info, volunteer informations, events, fundraisers, free blogs, personal photo albums and much more. It is no longer just a few pages for CHERUBS but it a web site for and about families dealing with CDH. A lot of thought has gone into our site…. Domain Name Extensions – CHERUBS web sites end in .org – cdhsupport.org, cherubs-cdh.org, cherubsconference.org. This means that we are an organization, a non-profit entity here to serve the public. Sites that end in .biz are business site and .com stands for “commercial” for commercial and business sites. They are usually for profit sites. Originality – our site is original. It is not from a template that is used by 100 other sites. It was not bought pre-made and then edited to make our own. It is 100% original with original graphics and photos. You won’t see photographs clearly taken from other causes or that violate copyright laws. You won’t hear cheesy background music. You won’t see a site that looks like it was created by a 13-yr-old with free software – we are professional and our site reflects that. No ribbons stolen from other sites and claimed as our own. No morbid black backgrounds or trendy colors that will go out of style in a year or two. No flashy site with tacky bells and whistles and no content. Our site matches our logos, printed materials, events and it goes with CDH. Cherubs are baby angels. Our site and organization isn’t a hodge-podge of one person’s likes or one child. Our site features babies born with Congenital Diaphragmatic Hernia…. not just 1 child or a few… but 100’s of cherubs. Because CHERUBS isn’t about 1 child, it’s about ALL babies born with CDH and the families and medical staff and researchers that care for them and fight for them. Our name, logos, slogans are all 100% original. Our content is all 100% original. CHERUBS is the original CDH organization and our site reflects that. It takes a lot of work and creativity to build a custom web site for an organization or business; this is so much different than creating a personal site or an on-line brochure site. We have spent 1000’s of hours working on our site over the years and continue to work on it several hours a week. Purpose – There are so many web sites for charities that are nothing more than advertisements for them and asking for money – with no services or information for parents. Nothing more than a couple of paragraphs about the cause or disease or issue they are supposed to be raising awareness of. Several paragraphs about what they want (donations) or what they sell or bragging about 1 achievement – they are advertising themselves and asking help from the public instead of offering something to the public. I am so proud that we do not have a self-serving web site but a member serving and a public serving web site that actually helps families and makes a difference in their lives and educates people about CDH. Accuracy – Our research and statistics are accurate. We do not manipulate numbers to try to make CDH more common than it is… such as comparing the occurrence of CDH (1 in 2500) to Down’s Syndrome (1 in 900 at it’s lowest occurrence rate). We are not about sensationalism but integrity. We are about giving parents the information and facts that they need to make educated decisions to help these children. We offer more than 1 page of abstract statistics copied from a medical textbook – we offer 100’s of pages of information on CDH, in easy to understand layman’s terms. We offer free downloadable Parent Reference Guides, lists of commonly used medical terms, links to CDH research and much more. Services CHERUBS has been offering on-line for almost 10 years. Listservs vs. Forums – We linked our site to our Yahoo groups that we started back in 1998… which we found out sells member e-mails to spam companies. CHERUBS is so proud to keep our member contact information confidential and it is never sold or given to anyone else. But listservs are outdated, unsecure and for organizations who do not want to take a serious position on the internet. Listservs are often plagued with drama and the archives are hard to sift through and easily edited and manipulated by dishonest listserv owners. While we still have our old listservs for archival purposes only (our lists and site archives are never edited or censored), our site contains forums for families. Families can log in and look under specific topics. Unlike on listservs, parents who are grieving do not have to read e-mails about survivors and parents trying to conceive do not have read about pregnancies – unless they want to. Experience – I am a professional web designer now – thanks to all that I learned volunteering for CHERUBS. Over the past decade I have learned a lot and have seen a lot and use this for CHERUBS. We know search engine optimization. We know how to make a professional site. We know the importance of branding. We know and obey trademark and copyright law and challenge it when necessary for the good of the whole CDH community. We add to and update our site constantly. We put function before flash. We know what works and doesn’t work. Most importantly, we know how to best help and support the CDH on-line community. Security – Our site is safe and software is secure. We do not sell or give out your information to other organizations, businesses or third parties. Ever. We put every new member through a security check to make sure that they are real and not spam robots or dishonest or banned ex-members who like to try to stir up drama. We will instantly remove any one who causes trouble, drama or who attacks others – though that hasn’t happened since our old days on the listservs. Our members are safe to post without fear of judgment or attack. There is no drama on our forums. Ever. 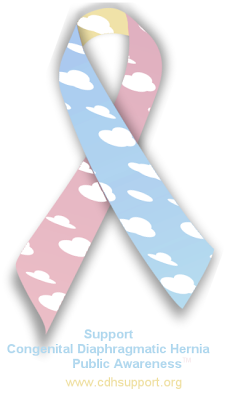 Support – All CDH parents, survivors and medical staff are welcome at CHERUBS. We do not discriminate against anyone based on experiences, decisions, or background. It doesn’t matter what your color, financial status, location or popularity is – there is no judgment and no “cliques” at CHERUBS. We welcome parents of survivors, non-survivors and expectant parents. We welcome survivors and grandparents. We welcome those parents who chose to terminate their CDH pregnancies just as we do those who chose to continue theirs. Politics has no place at CHERUBS. Honesty – CHERUBS never posts anything that is not 100% true with proof and evidence to show so. Information that we post on our site and blogs is accurate. CHERUBS never involves ourselves in gossip, slander, false statements, outright lies, personal attacks or other salacious behavior. You will never see someone personally attacked on our sites or blogs. You will never see slanderous, untrue statements posted. Ever. Global Support – CHERUBS is there for all CDH families around the world. No matter what country, state or hospital you are all – we are here for you. CHERUBS serves families in all 50 states and 38 countries. We have started a new blog ring for CDH families so that we can all keep up with blogs and CDH families and make sure to send well wishes and prayers to those who need support and encouragement.